and Robert Trent Jones, with fairway layouts that range from lakeside and mountain locations to sweeping valley vistas, offering some of the finest settings and most exhilarating challenges in the country. Of course, the best part of golfing in Vermont is that after a round, you’re surrounded by all the other things there are to do in Vermont. From exceptional dining to tennis, biking and swimming, taking in a concert or play, grabbing up flea market bargains and farmer’s market produce. 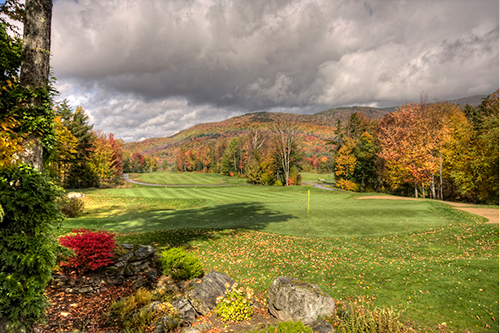 Vermont suits golfers - and their non-golfing families & friends - to a tee.